The thing is, it all started so well yesterday evening when I returned home to fine two pieces of beer related post waiting for me. Firstly there was the 2013 edition of CAMRA’s Good Beer Guide. But secondly, and probably more relevant to this blog, was a big padded envelope from Cask Marque containing my 25 scan bottle opener and my 50 scan polo shirt. Inside was a letter from good old Alistair from Cask Marque, encouraging me to try to get a photo in the shirt whilst holding a pint. Let’s just say it was a good job I didn’t take the shirt with me to work today……………………. The next square on the board was the Electric Company, which meant I would have to put the old grey cells into action to decide where to go. 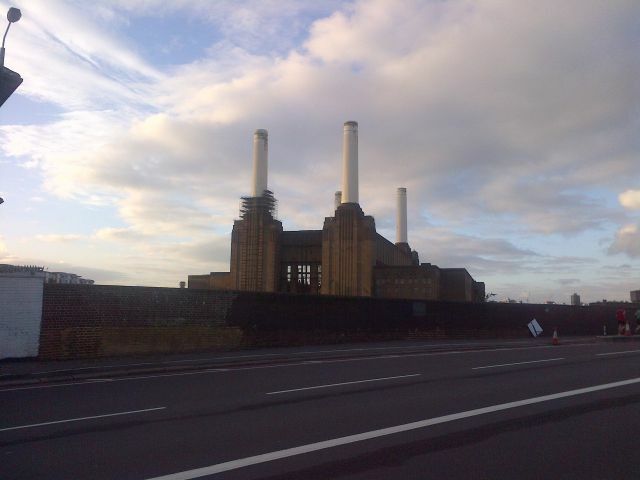 After at least 2 minutes of thinking I stumbled on the brilliant idea to go to Battersea Power Station – now decommissioned and no longer producing any electricity but at least I wouldn’t be able to miss it! Look, I didn't miss it! Although the idea might have been sound, the location was less than ideal as the power station is located well off the beaten track and I could only locate two potential pubs anywhere near it at all. I also reckoned that a journey out to the wilds of Battersea would cause minimal interest in the usual gang of work alcoholics and try as I might I couldn’t even get Spiky haired Ed interested in a visit even though he’s got more baggage than a Paddington porter to get rid of at the moment. So once again it was just Jack Jones and me who alighted at Vauxhall station and walked the ½ mile or so to the Masons Arms on Battersea Park Road. At this point, everything was fine. As regular visitors (yeah right!) to this blog will know, so far I’ve been very impressed with the standard of Fuller’s pubs both in terms of beer, beer range and beer quality but also in the style and décor of the places. 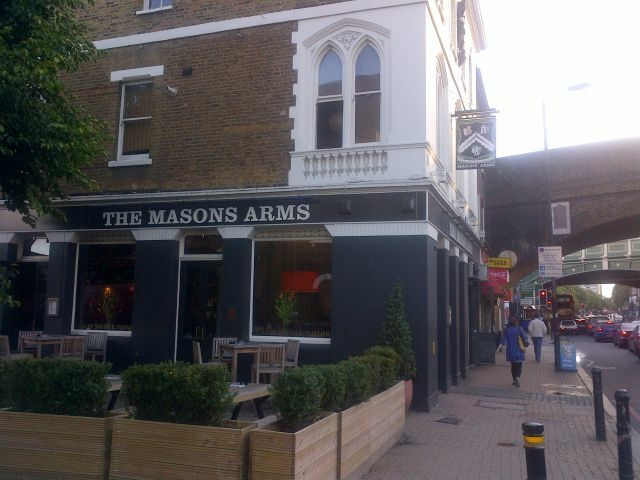 The Doric Arch and The Parcel Yard are both excellent examples of their superb pubs and on the face of it the Masons Arms also fitted the bill. All sanded floorboards and wooden tables the place looked cool and stylish as did the young trendy clientele all sipping from their oversized wineglasses. The barmaid informed me that it was actually table service (in a pub?!) but deciding very quickly I wanted the sausage and mash and a pint of ButcombeBitter I forewent this and just asked where the Cask Marque certificate was. “The Cask what?” she replied and somehow I knew this would end in a no-scan. She helpfully asked her manager but he also hadn’t heard of Cask Marque. “But you’re a Fuller’s pub aren’t you” I asked, “You must have heard of Cask Marque”. “No, I’ve been here two years and I’ve never seen this certificate” he replied. I tried to show him his pub on the Cask Marque app but the signal was playing up so couldn’t, but I still have to ask how on earth this can happen. 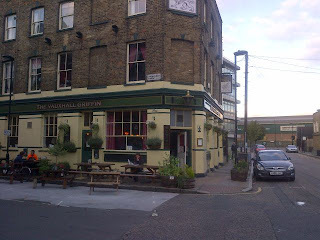 Perhaps Fuller’s give their tenants a free reign when it comes to their pubs and providing they are turning a profit, pretty much leave them to their own devices, and I will freely admit that the pub looked to be being run very well. There was a good crowd in for a Thursday night, the place was clean and tidy (although a little too hip for my liking) but surely they have a duty to ensure that their pubs are being run with their primary product, i.e. ale, in mind? The pint of Butcombe was disappointing at best. Totally out of condition, it wasn’t exactly off, but flat, tepid and totally without any sort of carbonation or head, it’s not a good way to spend £4.15 (yes, you heard me, four pounds fifteen pence). Now there’ll be a school of thought reading this who’ll say, “Well, why didn’t you complain? Ask for a new pint?” etc etc and they of course have a valid point. But after meeting such a clueless response when asking about Cask Marque I reckoned my chances of a bit of “ale understanding” was never going to happen. How do you explain to someone who doesn’t know about cask beer that the beer doesn’t taste right? Now don’t get me wrong, the staff were fine, very helpful, very courteous, I mean the fellow who served me my sausage and mash (which I have to say was excellent – but at £11 bloody well should be!) couldn’t have been more polite, but when you’ve made a special journey to go to a pub, specifically because of their supposed beer standards, I was miffed to say the least. So rather huffily making my way back towards Vauxhall station I popped into the only other Cask Marque pub I could see for miles, The Vauxhall Griffin in Wyvil Road. This is a nice looking pointy corner pub and had a sizable Thursday night crowd flowing out of the doors. Best of all, the Cask Marque certificate on the wall, next to bar, easy access, scan in the bag. Unfortunately getting service wasn’t so easy. It was pizza night and the staff seemed to have to go through the minutest rigmarole to get the pizza orders to the kitchen that I’ve ever seen. Fill in a coupon, tear off the slip, give one half to the customer, stamp the other half, pin it to the board, jump up and clap three times, staple it to the till receipt, touch the floor, knock on the wall, get the change…………honestly it went on and one and on. Add to this that they seemed to have only one till it was a wonder I didn’t do a scan and dash. 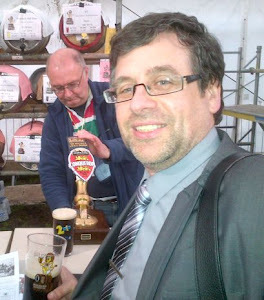 But I didn’t, I hung out for my pint of Cleopatra from Derventio Brewery, and was quite glad I did. Untappd describes this as a fruit beer and I’d certainly agree with that. A really challenging combination of sour fruit (it tasted like grapefruit to me?) and a big hop bite, it was good, very good in fact but one of those beers that really shouldn’t be served in pints. This is where we need continental sizes as a 0.3l would have been perfect but seeing as our pathetic government can’t achieve any sort of positive action for beer drinkers, I reckon there’s more chance I’ll meet Clint Eastwood on my next visit. So, all in all, not quite the bright and sparkly visit I was hoping for. And just so I really knew I’d had a disappointing night, the wonderful First Great Western decided to delay my train. Oh FGW, I reckon someone could give you a load of track, a handful of trains and several hundred staff and you’d still manage not to be able to run a train company…………….oh wait a minute, that’s what someone’s gone and done! If I could have a wish……… = Make pubs remember that they can do food, they can do a range of wines, they can do beautiful decorations and they can do service for a range of customers, but remember you should also be doing beer as well!